Poker isn’t all about luck and gut feeling. Sometimes, you need to exert extra effort to be really good. This article provides you a list of how you can become a better player. 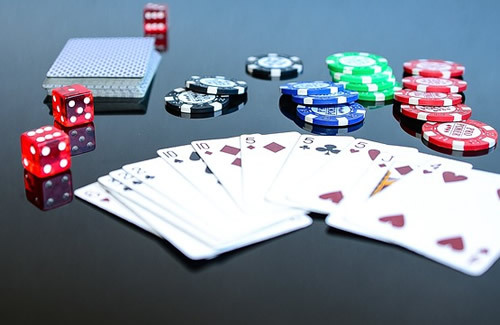 There are tons of games that you can find and play in a land-based casino or even in an online setting, but Poker remains to be the most recommended by people and most popular by far. Poker has been drawing tens of thousands of players – both experts and newbies alike – for the reason that it gives you a chance to talk to other players and that it is downright fun to play. Among the games that you can find in a casino, if you are with friends or family, you can never go wrong choosing Poker. It is equally thrilling, exciting, and of course, competitive. If you are on the lookout for online poker sites for Canadians, you do not have to look far. Google is your friend, but be sure to bet on reputable poker sites. If you have just started to realize how fun poker can be, perhaps you have thought of improving your skills and become a better player. To become one, you should say goodbye to habits and mistakes that newbies keep on committing. Poker is not all about bluffing. There is more to it than meets the eye. This article provides you with some of the mistakes beginners in Poker tend to commit, and we will also give you an idea on how you can avoid them in the future. We only hope that, by the end of this article, you will have been able to apply these tips so you can make better moves and hands in the future. If you expect that every day should always be about sunshine, butterflies, and marshmallows, then you are wrong. You should learn how to reconcile the fact that, sometimes, things just do not go our way or how we expect them. The way how you control your feelings, emotions, and actions will ultimately tell how you can cope with the situation. If you are someone who dwells too long and too much in negativity, it can affect your way of deciding—especially in Poker. Bad actions caused by bad feelings will result to you losing money, instead of winning, chasing after your losses, and making really desperate moves. Beginners are most likely to respond to a bad situation with a bad move. If you want to become a better player, do not think like an amateur. Process all the information laid out in front of you, then decide. If everything is just confusing as you cannot focus on the game, get out of the casino, make yourself a cup of tea, and take a break. Do not go back to the poker table unless you are already confident you are feeling better and you won’t make hasty decisions based on emotions. Most people, especially those who have just started with playing Poker, think that the game itself revolves around your ability to bluff your way out of every game. There is nothing more satisfying than bluffing people out of a huge pot, but poker is not all about bluffing. A good bluff is when you do not bluff too often or too much. If you bluff too often, other players can easily read your next moves. In shorter and harsher term, you become predictable, and you do not want that to happen. Make your bluffs count and believable. How do you make your bluffs believable? Easy! Make it seem like you are doing it because of necessity, not because of aggression. Bluff just enough to make it really believable. There are two types of beginner players in Poker. The first one plays as if there is no tomorrow—fearless, with so much enthusiasm, always smiling. The second one plays like he is walking on egg shells—too afraid that one wrong move could be his end, his fear rooted from the idea that any wrong move could be the reason for his loss. 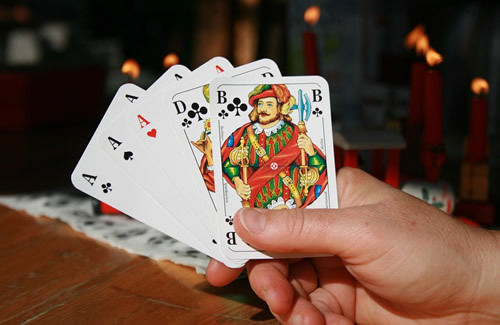 The second person would then probably fold until he is sure his hand cannot be beaten by anyone. Do not become like the second player. Poker is a fun game, if we have not said that enough. Playing confidently is the only way you can actually have fun with playing poker. Being scared all the time will cause you to become an overthinker, and later on, someone who assumes a lot. Sometimes, people who play aggressively do not always have the unbeatable hand. You cannot always assume. Learn to trust your instinct. Your gut feeling is sometimes all you need to excel in Poker. Poker—and gambling in general—is mostly about luck and your ability how to deal with randomness. Some beginners think and blame their losses to some events that happened or a thing they saw before playing poker. Superstitions are part of our culture. But realizing early that superstitions would not win or lose your game, the better for you. If you really wish to become a better player, you must quit believing in superstitions. No lucky shirt or lucky bracelet can win your game. It is how you play the game and how you deal with the situation in front of you. It is important that every Poker player—beginner or otherwise—know that the game involves skills, determination, patience, and instinct. These things are something you can work on and improve in the future, unlike superstitions. Which is a good thing. Because it means you can improve no matter. There you have them. These are some of the mistakes novice poker players keep on committing and the ways how you yourself can avoid making them. There are many out there, but by far, these are the most popular. What other Poker strategies and tips can you share for those who are just beginning in Poker? We would love to hear your stories in the poker table—fun, exciting, or otherwise. Let us know through the comment section below.